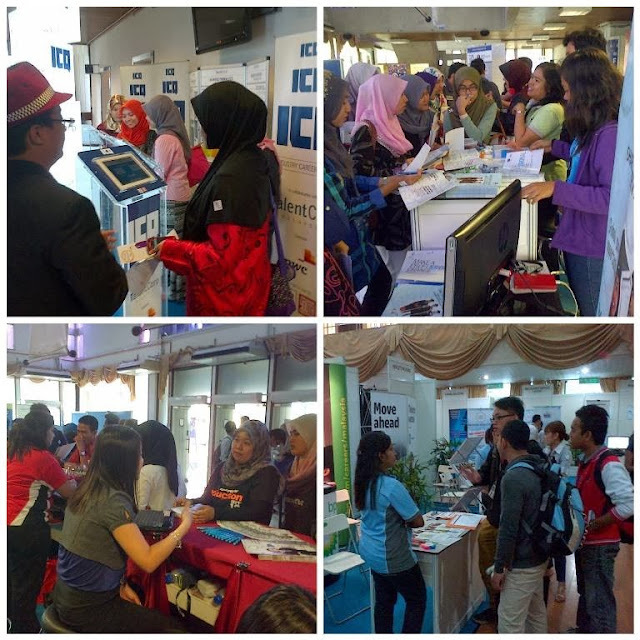 Last Sunday, UiTM teamed up together with TalentCorp to organized a career fair on the campus grounds to give students an insight about the working industry. Unlike every other Education fair that is held yearly in malls, this event prepares each individual about the challenges in work and how to overcome it through real life interaction with corporate representatives. By making their presence known among local students, TalentCorp not only provides useful insight about future careers but also provide outsource information which comes in very useful for every student. Dato’ Sri Wahid, the Minister in The Prime Minister Department who officiated this event sharing his thoughts during a dialogue session held at SFCF. As part of its strategic thrust to scout out young Malaysian talents, as well for building public awareness on the available career opportunities under the 11 National Key Economic Areas (NKEAs), Talent Corporation Malaysia Berhad (TalentCorp) hosted a Sector Focus Career Fair (SFCF) today at University Teknologi Mara (UiTM). SFCF UiTM is known for being supported by over 30 reputable local and international companies such as AIG, DHL, Electrolux, Frost & Sullivan, GlaxoSmithKline, HP, IBM, LaFarge, Sime Darby and PwC just to name a few. UiTM’s aim is to establish its reputation as one of the premier universities that delivers academic excellence not only in Malaysia but also worldwide. An educational platform that is capable of producing dynamic individuals of world-class standards and globally competitive with sound ethical standing. Through this event, which was opened to public and students provides an opportunity for them to interact with corporate companies in a more relax environment. (1) Optimise Malaysian talent(2) attract and Facilitate Global Talent (3) Build Networks of Top Talent.